Experience level. Intermediate. You can go as deep as you want and make this an advanced Cozumel Underwater Dive. It is usually done as a second dive after Barracuda or Eagle Ray Wall. Villa Blanca is just across from the Villa Blanca Hotel. The dive is usually done between the cruise ship peers, Puerta Maya Cruise Ship Pier to the south and the pier in town to the north. Cozumel Villa Blanca Wall Reef dive can be dangerous. If the current picks up or shifts, you can be taken under the cruise ships. These ships draw water from the sea for their cooling system, so you don't want to go under them, or you could be sucked in. Besides that, it is illegal to dive under a cruise ship for security reasons. 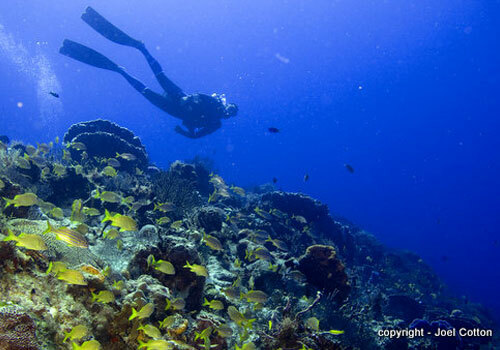 If you dive from a boat with an experienced Cozumel Scuba Dive, you should be fine. 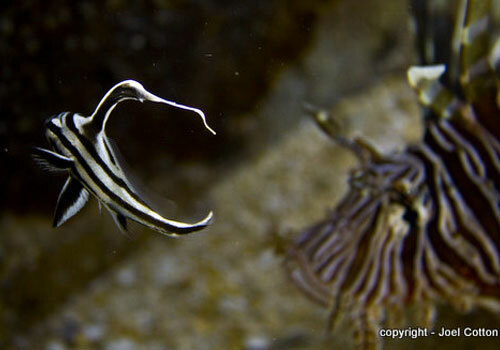 You can rent tanks at a few shops on Rafael Melgar such as Aqua Mar, and do this as a shallow shore dive. Although we know people who dive out to the drop off from shore, this is not recommended. There is a small Reef prior to the drop off at about 40'. It has nice juvenile fish, and some coral outcrops. If you are diving from a boat, you will check the current. The current usually runs north. Then you will drop near the southern cruise ship dock, and drift north, finishing before you get to the main dock in town. Villa Blanca gets a lot of current, so the reef is low profile. The sponges and coral here are in really good shape. 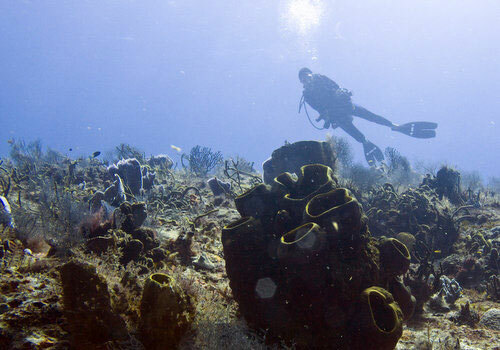 You will see lots of basket sponges, and barrel sponges, with black gorgonian throughout. There are Scrawled Filefish, spotted moray eels, honeycomb Trunkfish, and some white spot trigger fish, as well as a few Turtles. 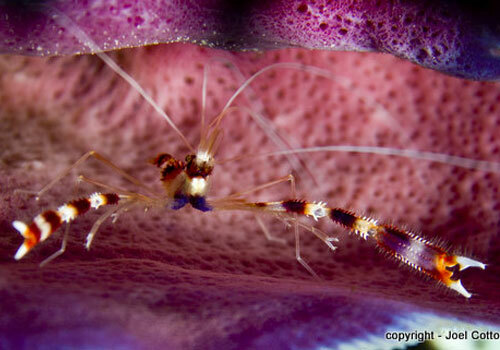 On any reef of Cozumel you can see any fish or animal at a given time. Below is a general guide.